The Office of Government Ethics isn't happy with the White House's decision not to punish top aide Kellyanne Conway for plugging Ivanka Trump's products in a TV interview. OGE Director Walter Shaub told the White House in a letter Thursday that he remains concerned with Conway's "misuse of position." In an interview on Fox News Channel on Feb. 9, Conway raved about Ivanka Trump merchandise and encouraged viewers to "go buy Ivanka's stuff." A day earlier, President Trump had attacked Nordstrom department stores for dropping his daughter's line of clothes and accessories. The ethics office recommended discipline because federal rules prohibit executive branch employees from endorsing products. The White House concluded that she was speaking "in a light, off-hand manner while attempting to stand up for a person she believed had been unfairly treated." "Not taking disciplinary action against a senior official under such circumstances risks undermining the ethics program," Shaub wrote to a White House lawyer. Shaub said he is also concerned about the White House's "extraordinary" assertion that many OGE regulations don't apply to the president's staff. The White House lawyer, Stefan Passantino, made that claim in a letter informing the ethics office that Conway would not be punished. The lawyer said the staff had been instructed to follow all the rules anyway. Shaub said the White House's interpretation of the rules was incorrect. "Presidential administrations have not considered it appropriate to challenge the applicability of ethics rules to the entire executive branch," he wrote. "It is critical to the public's faith in the integrity of government that White House employees be held to the same standard of ethical accountability as other executive branch employees." The ethics office works with executive branch officials to avoid conflicts, and it can recommend penalties against employees -- but the agency itself has no enforcement power. Disciplinary action against federal employees who violate ethics standards is instead left to the individual agencies where they work. In Conway's case, that is the White House. Ivanka Trump merchandise came up in the TV interview because Nordstrom and a number of other retailers have stopped selling it, either online or in stores, in recent months. 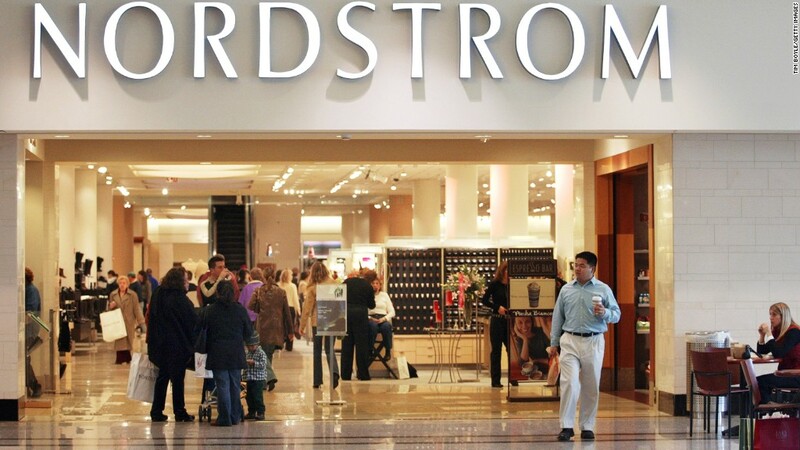 Nordstrom said it made the decision because the brand wasn't performing well. On Feb. 8, the president complained on Twitter that the department store was treating his daughter "so unfairly." Conway, speaking from the White House briefing room, was asked about it the next day on "Fox & Friends." "It's a wonderful line," Conway said. "I own some of it. I fully -- I'm going to just, I'm going to give a free commercial here: Go buy it today, everybody. You can find it online."